We’ve been working with New Wines of Hungary, a consortium of wineries in Hungary’s Tokaj region, for over a year. Recently, one of our partners, Rick Perry, in Florida received samples of several wines and brought them to a local event. 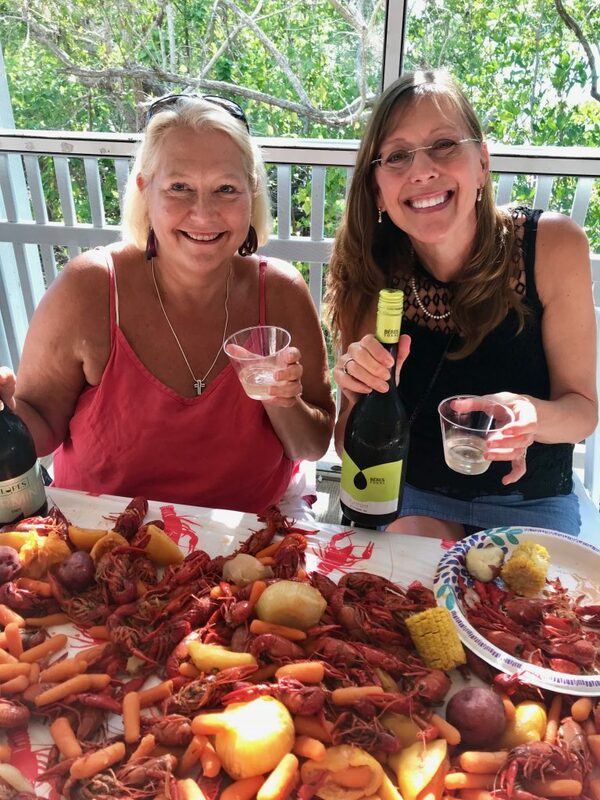 Rick’s feedback below shows the quality of Furmint wines – and it is a fun example of an authentic crawfish in Florida! 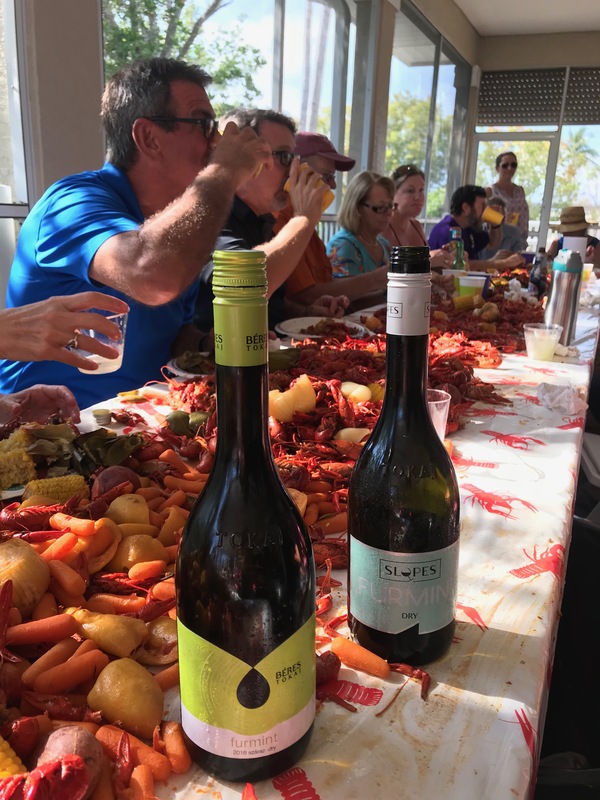 “On Saturday, April 21, I was invited to a crawfish boil and I brought five “Furmint” wines from New Wines of Hungary. Numerous business executives, bankers, lawyers, political office holders, and others were there for this casual and fun annual experience. I received a lot of positive feedback. Most people were surprised by the refreshing smoothness of these dry whites that exhibited a light golden color, minerality, some with a tinge of fruit, others a bit dryer; however all have an even keel smoothness that enhanced the spicy foods and vegetables. People commented on the good balance and ability to stand up to all the foods (and the crawfish and vegetables were quite spicy). Some mentioned a “creaminess” that helped soothe the spiciness. I made wine-pairing suggestions of: seafood, shellfish, oysters, spicy dishes, sushi, Indian, Thai/Vietnamese, Lebanese/Greek and pair very nicely with vegetables (red peppers, carrots, tomatoes and hummus) we tested some today with these vegetables and were once again surprised how well they paired. The wines brought out more flavor from the vegetables without either one over-powering the other. 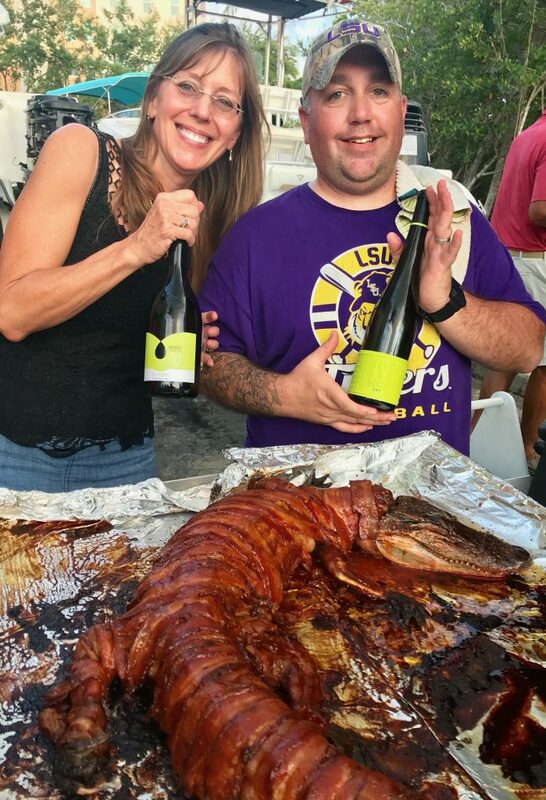 Not only did we have Crawfish with potatoes, carrots, corn, artichokes and cauliflower; but they grilled two alligators and wrapped them in bacon.